Located on the Adriatic coast, Lezha includes a number of beautiful, spacious and still secluded beaches. Located only 55 km from Tiranë, this is perhaps one of the best destinations to be enjoyed not only in the summer months but throughout the entire year. This area’s picturesque landscape, wonderful food, untouched nature and rich underwater flora and fauna are only some of the reasons that make Lezhë a national favorite vacation spot. Its wonderfully simple, virgin beaches gather many people faithfully to its shores, year after year! 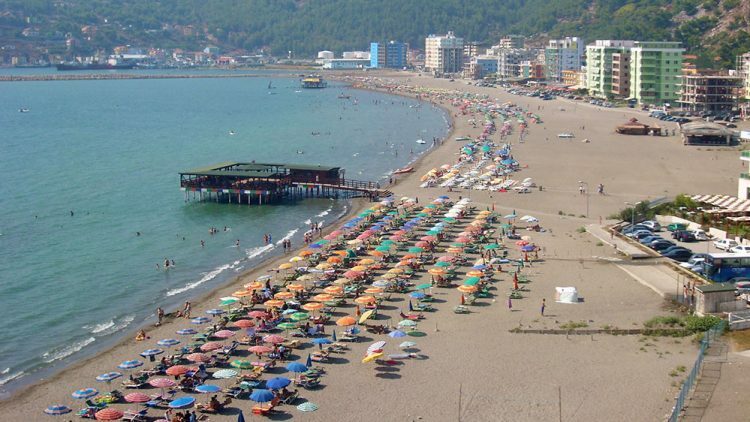 The first on our list is the most nostalgic and historically popular beach in Lezha! 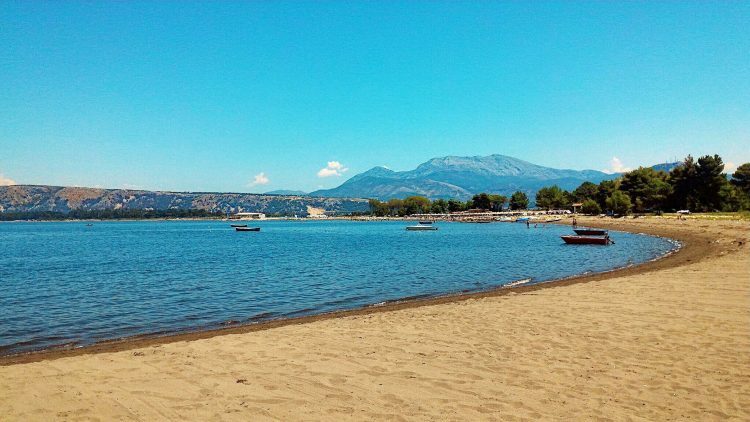 Both beach and port, Shëngjin is beautifully framed by the lagoon which surrounds it. According to locals, Shëngjin’s name is connected to the Forest of the Fairies (Pylli i Zanave), located between Shëngjin and Velipoja. This area was also once called Medea, like the famous Medea of the Argonauts. The small harbor and beach have managed to survive and are both widely known both locally and internationally, though less so than the famous southern Riviera. Tale Beach is one of the hottest, new summer destinations in Lezha. As with all the other beaches of the area, it remains beautiful during the entire year. Several kilometers of coastline stretch from the area’s lagoons to the beginning of the Mat River’s delta. This popular new area is constantly improved through new road infrastructure, hotel facilities and delicious seafood restaurants. The sandy beach is immaculate and the entire area is known to have plenty of curative properties due to an abundance of iodine and its unique, finely-grained black sand. The beach remains wild and untouched as this ideal vacation spot was discovered relatively late. The wide sandy belt allows one’s eyes to freely gaze at the horizon and even further to the mountains beyond, the latter being natural boundaries between Lezha and thenortherns highlands of Mat and Puka. The final and perhaps most fascinating destination in Lezha is called Rana e Hedhun. Named in the Gheg dialect of Albanian, in English, its name literally means “poured” or “thrown sand,” referring to the untouched sand dunes and formations along its coastline. 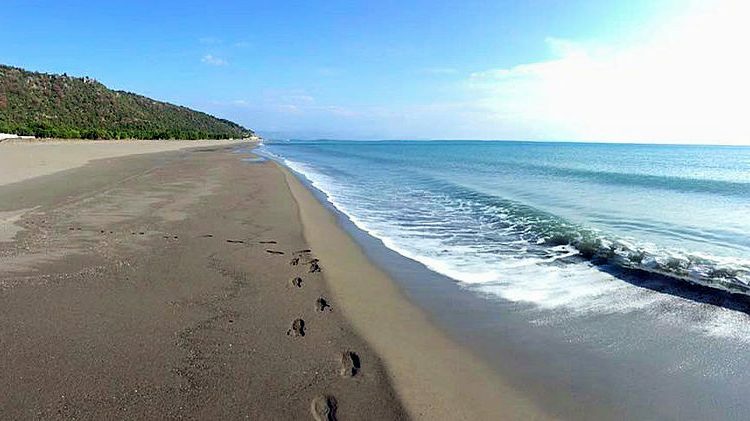 Located only 3-4 kilometers from Shëngjin, this beach remains relatively unexplored, revealing a rare and perhaps forgotten Mediterranean landscape.